Get relief from skin ailments with Ayurveda. Fight fungal infections with FungOn natural antifungal cream. Enhance the texture of your skin with ayurvedic face cream for fairness. Benefit from natural ingredients such as turmeric, aloe vera, neem and other ingredients by using Gloderm, an effective ayurvedic face whitening cream. Stay away from skin infections with Gloderm Syrup. The syrup acts as a blood purifier and also helps to maintain healthy skin. Manjistha, Neem, Triphala and other natural ingredients in Gloderm tablets helps to remove toxins and treat pimples as well as acne. 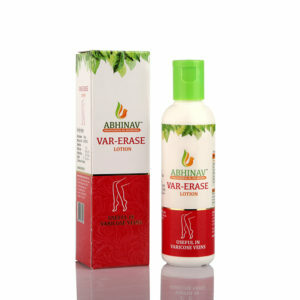 Treat varicose veins or spider veins on legs with Var-Erase lotion. Gloderm cream is an effective Ayurvedic combination of exotics herbs like Aloevera, Turmeric, Wheat germ, that enhance complexion & acts as a face whitening cream. Zinc (Jasadbhasma) neem are known for then Anti-acne properties Gloderm cream is an ayurvedic face cream for fairness available with excellent natural fragrance. Manjistha, Sariva, Neem- Excellent Blood Purifier. Triphala, Aragvadha-Colon cleansers helps remove toxins. Haridra, Guduchi – Antiallergic & excellent skin tonics. Rakta chandan, Gulab, Usheer- help to eliminate excess heat.